There are times I can’t help but feel like one of my Middle School students. Usually it’s around mid-April when we are in the midst of state testing and I find myself daydreaming about the upcoming summer break. 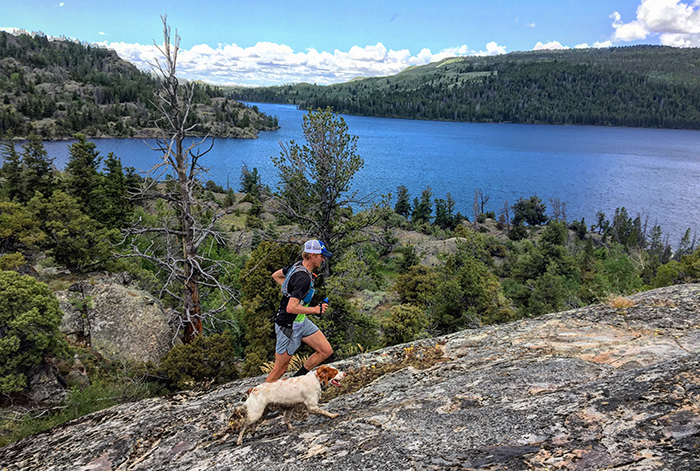 As my wife Sarah and I are both science teachers, and our dog Barley is a dog, we all have a common interest in being outdoors as much as possible, especially high up in the mountains. That’s why we spend our summers away from home traveling and running…and we run often! With most miles on steep, mountainous terrain, I’ve found something special in my beloved MT-2s. I’m currently on my 7th pair where I log at least 450+ miles before switching out. Sarah is on her 3rd pair. With the MT-2s we’re confident we have a durable shoe with enough protection underfoot while traversing technical, rocky trails or scrambling through thick brush or even swampy mountain meadows. With literally thousands of miles ran in them, they are without a doubt our go-to shoes for both training and racing. While he doesn’t need shoes, I know Barley is jealous of our MT-2s. 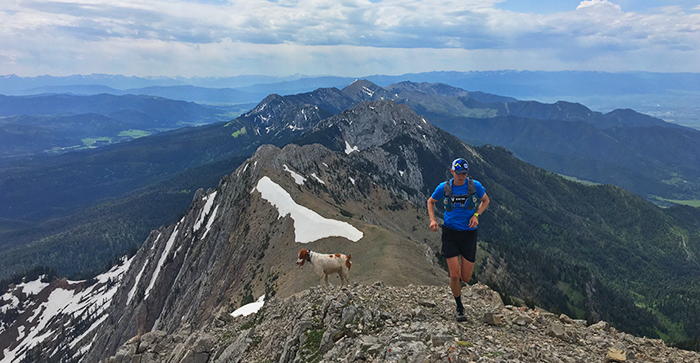 Even so, he still joins me on nearly every run, even in peak training weeks when we hit 70+ miles and 15,000’ of vertical gain. After finding big mountains to explore and trails to run using a recreation atlas, we load up our 2007 Jeep Wrangler JKU with all of our gear to help get us through 30-40 straight days of camping. However, the one item we don’t pack is a tent. That’s because it’s attached to the top of our Jeep. 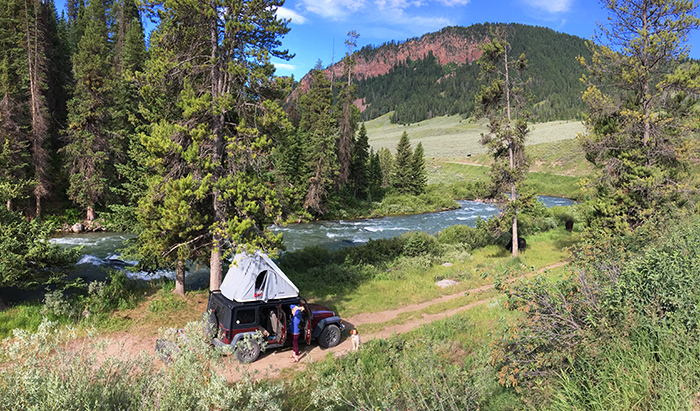 We made the decision several years ago to invest in a hard shell rooftop tent to make our travels more convenient and flexible. Utilizing the dispersed camping rules of our National Forest and Bureau of Land Management (BLM) means we rarely stay at traditional campgrounds and seldom pay a camp fee. With a quick setup and takedown, we can move between campsites each day and this usually puts us only minutes away from new trailheads each night. All this traveling and running can wear us out so one of our favorite post-run activities is to search out local breweries to grab a pint. We’ve found that breweries typically provide a Barley-friendly atmosphere as well as a gathering spot for other adventurers. Additionally, we often learn of new trails, scenic vistas or hidden campsites by interacting with others. In truth, talking with locals and making new friends is one of our favorite parts of travel.